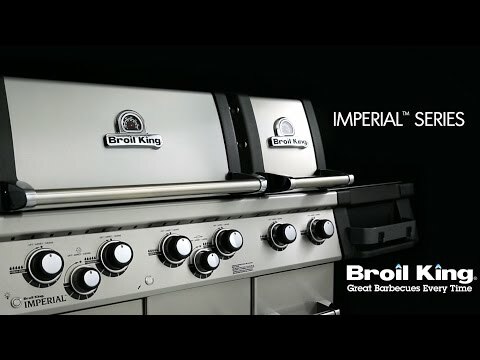 The Broil King Imperial XL Black features two totally independent ovens with a total of 1000 square inches of cooking space and includes six stainless steel Dual-Tube burners, built-in oven lights, professional cast stainless steel cooking grids, stainless steel Flav-R-Wave cooking system, built-in oven and control knob lights, two electronic igniters. The XL Black features stainless steel side shelves with right side storage drawer and an enclosed cabinet base with two black powder painted doors and two utility drawers. Broil King offers a limited lifetime warranty on the cookbox (which includes lid, control panel & housing). The stainless steel Dual-Tube burners and rear rotisserie burner are warranted against defects in materials and workmanship for ten (10) years. The stainless steel Flav-R-Wave cooking system is warranted for five (5) years. All remaining parts and paint are warranted for two (2) years. My husband is a certified gas installer. Needs to know if we can purchase the parts to convert this grill from natural gas to propane?